In July 1983 this place inspired Mexican architect Héctor Ceballos-Lascuráin in the coining & definition of the term 'Ecotourism'. 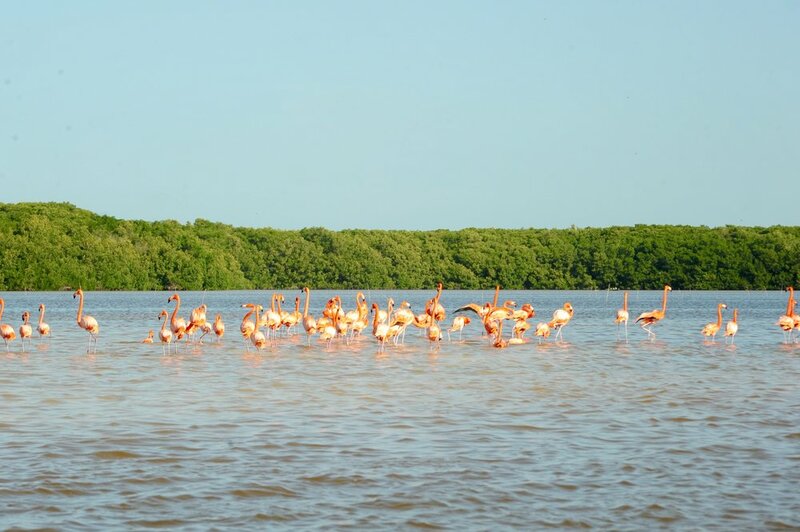 Famous for its flamingos, this 600 km² (147,500-acre) UNESCO designated bio-reserve around Celestún is home to over 300 different types of birds, making it a mecca for birdwatchers from around the world. 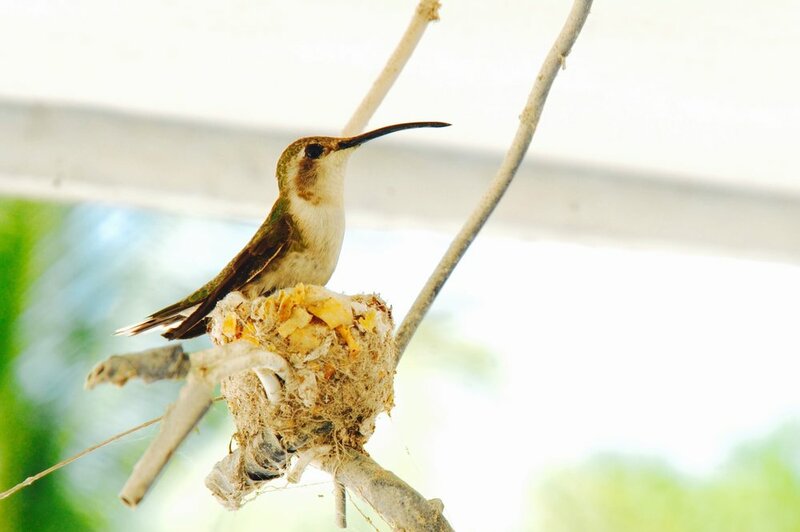 Just around our guesthouse you'll be able to observe a vast variety of them but we recommend to not miss venturing out with one (or more) of the various tours offered and operated by local guides. 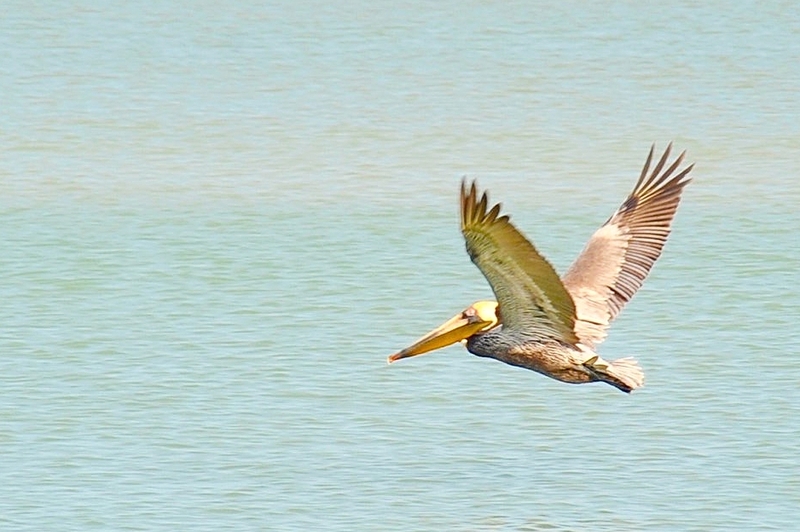 When you experience this rich flora & fauna first hand, it will quickly become evident that Celestún is not a prime eco destination only for the wealth of its feathery inhabitants. Boats will take you through the Ria and some of the most magical Mangrove tunnels around. Depending on what kind of tour you choose, the departure points are from different locations. 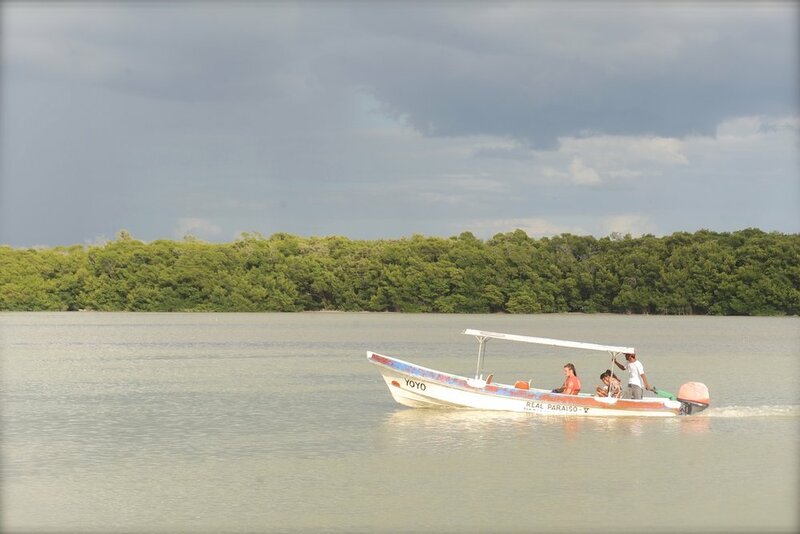 The main motorized boat tours leave from the tourist centre right below the bridge of Celestún and a slightly longer version of that same excursion leaves from the beach and will take you along the coastline to Campeche and back up into the Ria of Celestún. Gliding silently through the Mangroves, allowing for a very intimate experience of mother nature, is a tour by canoe with a guide punting or you kayaking yourself along side a guide. This tour is also offered as a nighttime version with 2 guides and comes highly recommended. 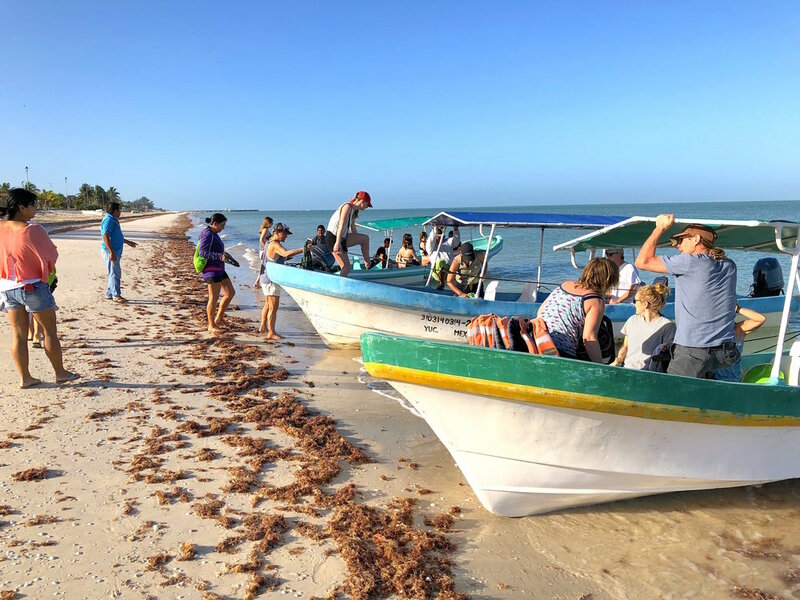 Tell us what you enjoy and we are happy to offer more information as well as help organize your tour, a boat pick-up at the beach or Mototaxi at our gates.